The difference between a cleansing balm and an oil is that I find an oil takes longer to work into the skin and is messier, whereas a balm really penetrates the skin and you can really massage it in. It is really important to massage in with your fingers or a tool as this helps to stimulate the skin and to thoroughly cleanse, especially in the evenings to get rid of all the makeup and pollution from the day. 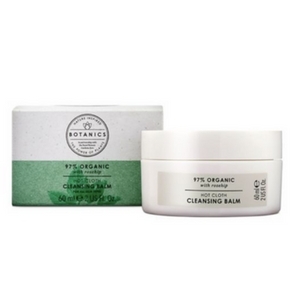 Infused with organic rosehip extract, this cleansing balm leaves the skin feeling soft and smooth. 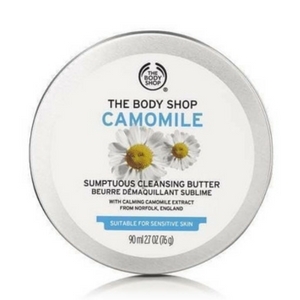 Camomile, proven to be highly effective for soothing sensitive skin with it’s anti-irritant properties. This feels thinner than the Botanics and would be better suited to a more sensitive skin type over the Botanics one. It has a stickiness to it, this helps remove dead skin cells better than a normal cleansing balm as it contains enzymes which help to exfoliate as well. Skin feels clean, plump and not tight. London-based facialist, Sarah’s skincare line Skinesis came from her desire to create truly transformative products. 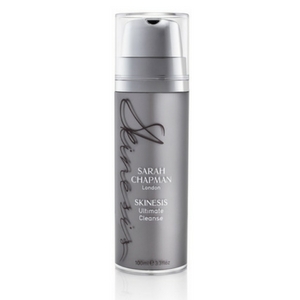 Launched in 2008 Skinesis is the distillation of Sarah’s twenty years of industry knowledge. Baobab and borage oils, rich in essential omega oils with anti-inflammatory properties. Anti-oxidants including Vitamins A and E which protect against environmental stress. 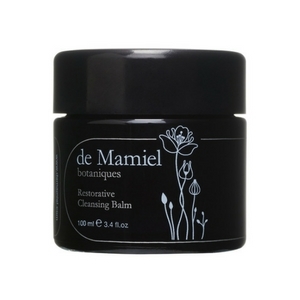 This takes off all makeup and is a really nourishing option for a cleansing balm. This is similar to the Emma Hardy Cleansing balm, but I prefer this packaging. 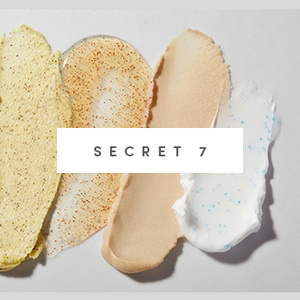 This collection was created in partnership with global skincare experts at DECIEM – The Abnormal Beauty Company. 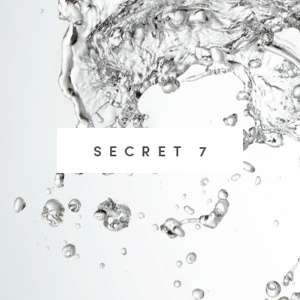 Plant esters: to cleanse skin, removing make-up and impurities, Corn humectants: to deeply hydrate and give skin a dewy finish, Emulsion system: to help purify skin and prevent blemishes. 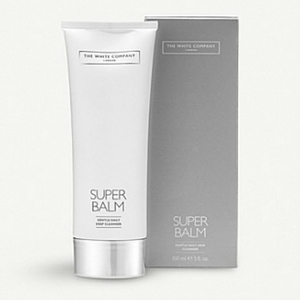 This is between a balm and a liquid, it emulsifies and turns into more of a liquid so great to use with a Foreo.